My sweetheart gave me this beautiful Miniature Rose on Valentine’s Day. He knows I love plants and have a soft spot for miniature roses. This was my first peach colored one. We recently spent three days in Temecula, California. 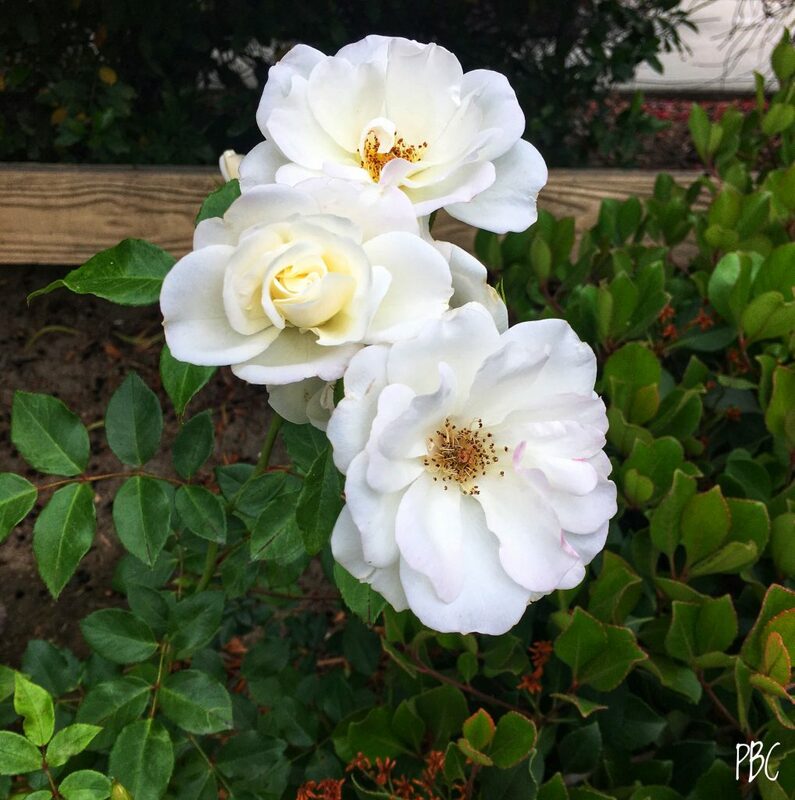 During an early morning walk, I saw this lovely white floribunda rose. The photo below shows more of the same plant. Last Thursday I went to Seal Beach to spend the day with my mom. We both love to read, so we visited the library which has a beautiful rose garden. 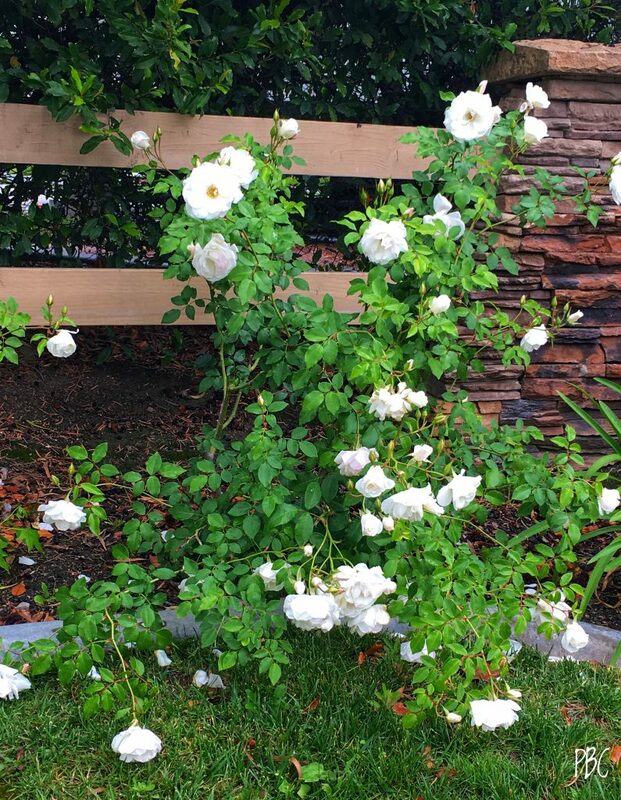 I took the above photo of one of the lovely rose bushes. This wonderful little statue was also on the library grounds. He almost looks real. After a thorough look around the Friends of the Library second hand book store, I purchased two wonderful gardening books at a total cost of $1.50. What a bargain. Mom bought several mystery novels, also at bargain prices. It was a fun day for both of us.